Mesh analysis is useful for displaying attributes of the mesh, that may impact certain use cases. 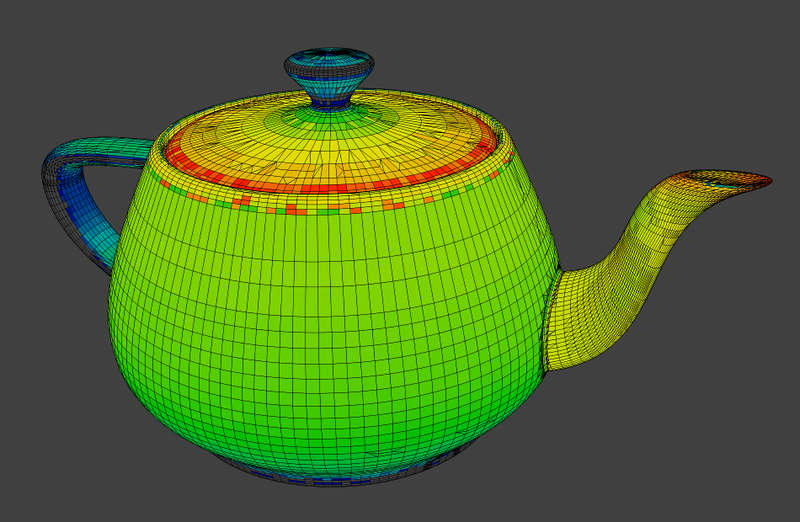 The mesh analysis works in Edit Mode and Solid Viewport shading. It shows areas with a high value in red, and areas with a low value in blue. Geometry outside the range is displayed gray. 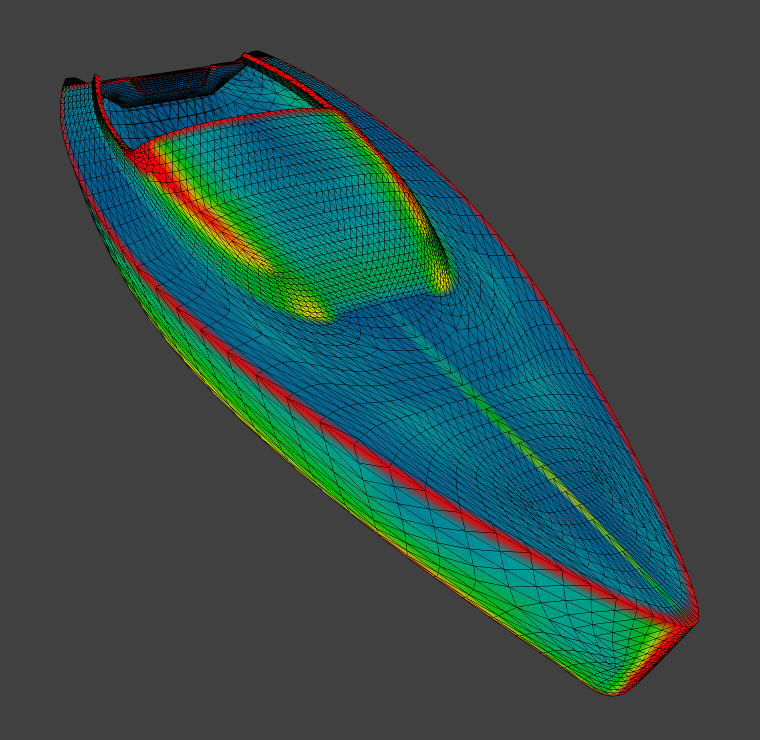 Currently the different modes target 3D printing as their primary use. 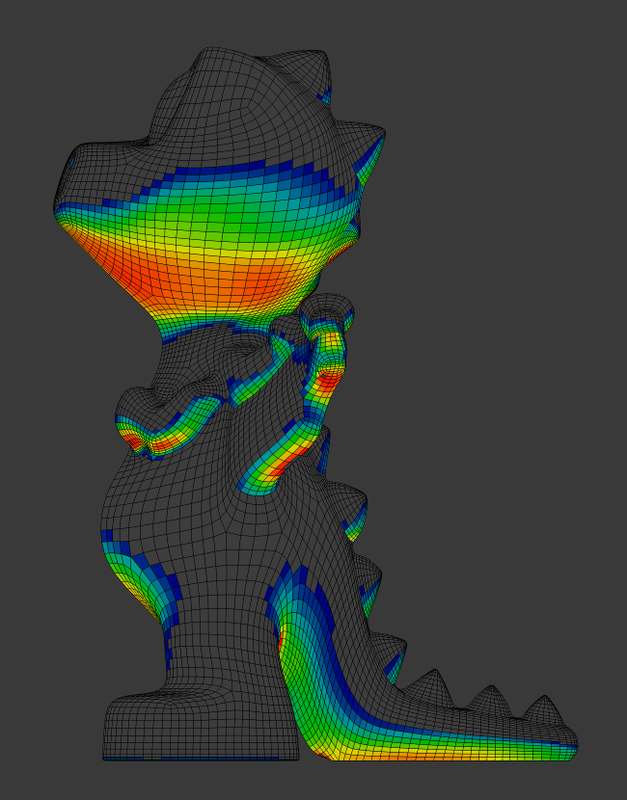 Currently only displayed with Deform Modifiers. 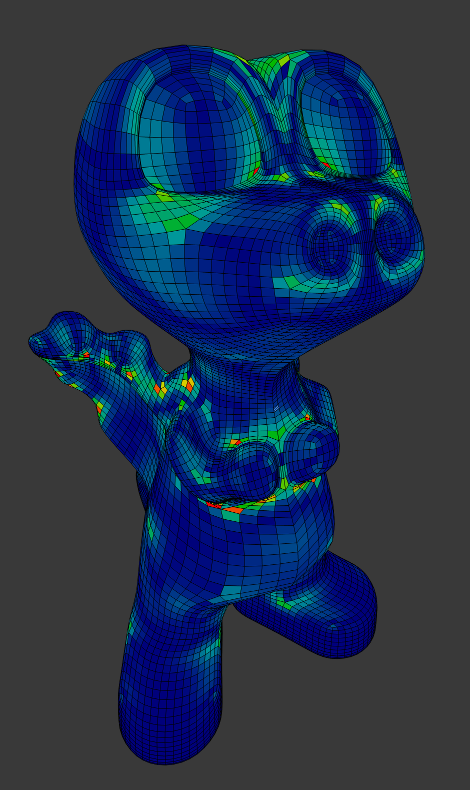 For high-poly meshes the performance is low while editing. Extrusion 3D printers have a physical limit to the overhang that can be printed, this display mode shows the overhang with angle range and axis selection. Another common cause of problems for printing are intersections between surfaces, where the inside/outside of a model cannot be reliably detected. 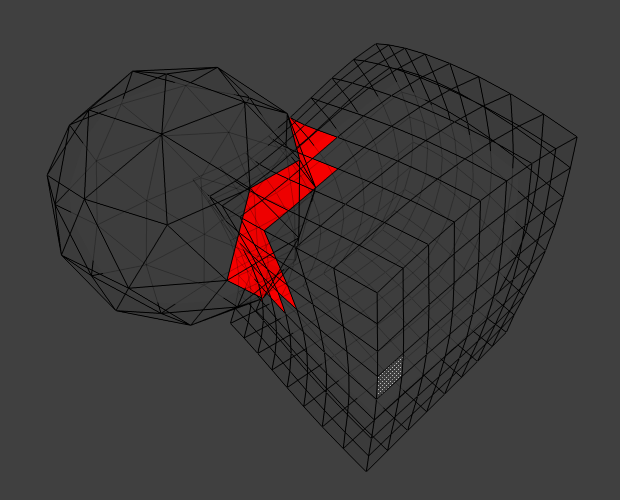 Distorted geometry can cause problems since the triangulation of a distorted n-gon is undefined. Distortion is measured by faces which are not flat, with parts of the face pointing in different directions. Similar to wall-thickness, sharp edges can form shapes that are too thin to be able to print.